Absolutely incredible. We've sold higher grades but this example is easily the finest copy we've brokered in our history. 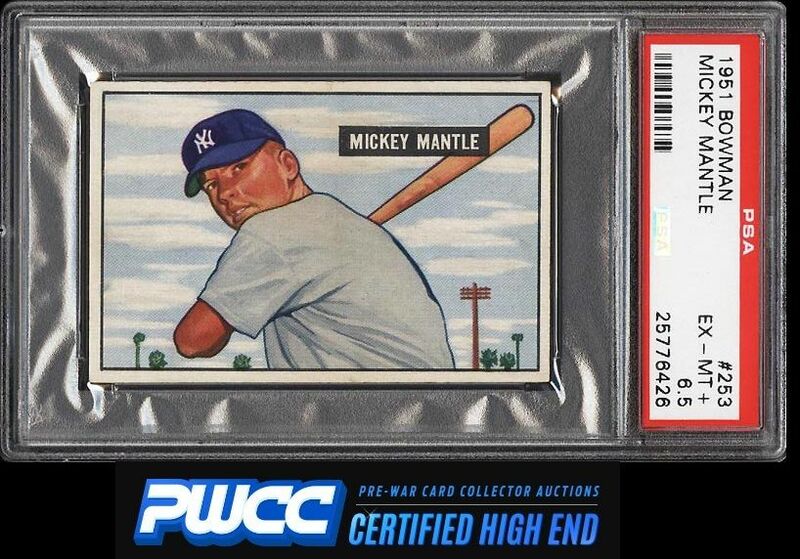 Far superior to any PSA 7 we've seen over the last 20 years and certainly shows eye appeal exceeding many of the PSA 8s as well. A dead centered and altogether perfectly printed specimen boasting four conservatively NRMT corners and chipless edges. How in the world is this card only a 6.5? All told this card represents the very finest the hobby has to offer, a high-end blue chip commodity with eye appeal far exceeding the technical grade. This is an outright steal at anything in the realm of the NRMT price tag and comes with our highest recommendation. One of nearly 17,000 cards, lots, and sets up for bid in our 8th Auction of 2016. Click on the link above to view the other PWCC auction lots.